Leucoma cornea with photo phobia. After 6 treatments of keratography. Untreated eye – a deep scar in the cornea. After 2 treatments of keratography, iris increased under microscope. After 5 treatments of keratography. Final result after 6 treatments of keratography. You can see clearly there is a full glow on the dim cornea. Leucoma cornea plus an applied lens under the cornea – for treatment reason. Patient with photo phobia and full vision of the eye. After 3 treatments of keratography – patient does no longer suffer from photo phobia and has kept full vision of the eye. Less known is, that - as we have proved with own research in the past 10 years - more than 73% of the patients suffering from leucoma cornea also has physical complaints related to this disease. Even if we talk about a blind eye, still the damaged cornea often leaves sharp light in (photo phobia). This phenomenon (photo phobia) has a negative influence on the perception through the healthy eye. Beside that, the disturbed perception can provoke complaints like headache and tiredness. The undersigned declares to give his/her permission for the performance of a keratographic treatment of the cornea in the left/right eye. After desinfection of the eyelids and the eye surface, colour pigment shall be introduced into the cornea using keratography under local anesthesia. This treatment shall serve either to colour a disfiguring scar of the cornea, or to pigmentate a clear part of the cornea as a replacement for a missing or deformed iris. Treatment shall be performed by the keratographer E.M. van der Velden in close consultation and cooperation with one of the cornea specialists. Before the first treatment session, the treatrment plan shall be explained to the patient. A complete keratographic treatment of the cornea shall consist of several (2-6) sessions of at least 1 hour each. Long-lasting damage of the epithelium ( the superficial layer of the cornea) with little tendency of recovery may occur. As a result of the insertion of the keratography needles cornea infection may occur. If the cornea is perforated, leakage of eye fluid may occur. This may lead to severe inflammation of the eye, totall loss of eyesight or loss of the eye itself. The aforementioned complications are very rare and have rarely ore never occurred under the hands of the treating specialist. The patient should nevertheless consider these risks, however small they may be, when he gives his consent for this treatment. 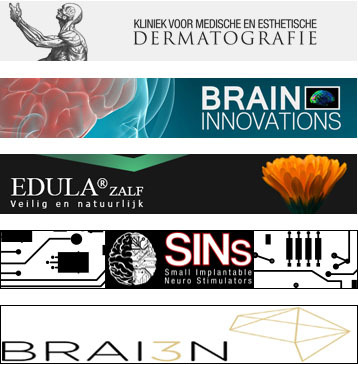 The treatments shall be performed in the Clinic for Medical and Esthetic Dermatography in Arnhem. In advance, the patients eye shall have been seen by his/her ophthalmologist for the right diagnosis. Treatment starts with the application of a local anesthetic in the form of eyedrops. The eye shall be completely anesthesised after 10 minutes. The non-treated eye shall be covered with a cloth. The eye to be treated shall be desinfected. The eyelids are kept in an open position with the aid of an eye spreader. First, the keratographer shall determine the correct colour. The keratographer E.M. van der Velden. After this the colour pigment will be introduced into the upper layer of the cornea with the aid of 3 sterile needles with a diameter of 0.36 mm each. During the treatment session, which depending upon the size of the surface to be treated shall last 15-40 minutes, additional local anesthetic eyedrops shall be provided. The total number of treatments shall be between 2 and 6. Immediately after treatment a bandage lens is applied if possible. 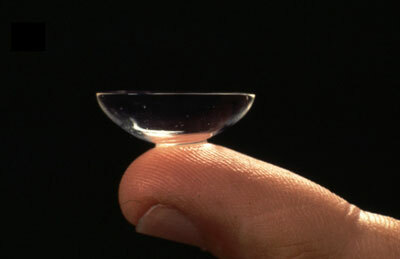 It serves to protect the cornea and eases the pain and irritation occurring during the first 48-hour recovery period. When experiencing pain you may take 500 mg paracetamol 4 times per day at most. The bandage lens should be worn day and night for 7 days, or as long as prescribed by the keratographer. In order to protect the eye against dust and dirt you should cover it with a protective gauze. You shall be given a prescription for these so-called eyepads. After 7 days you may remove the bandage lens. You may have this done by your GP, your ophthalmologist or your local hospital. On request you shall receive an accompanying note. At the policlinic you shall also receive a prescription for antibiotic drops. In order to prevent infection, you should exactly follow the instructions for its application during the next 7 days. You shall receive 2 prescriptions: one for the eye pads and one for the antibiotic drops. Important notice: Under no circumstances should you use any type of eye ointments. If you have complaints about continuing pain or irritation or in case of emergency you may always consult your own ophthalmologist or one of the treating specialists. After 3 treatments of keratography visus retained. After 4 treatments of keratography visus retained.